2nd addition completely revised with additional tools. 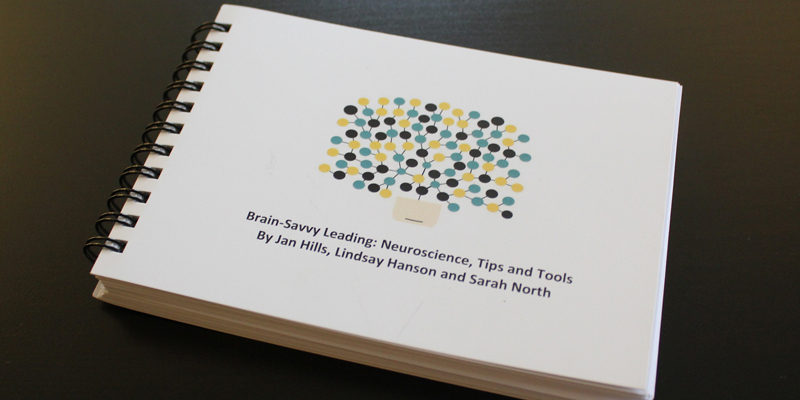 Brain-savvy leading provides the science related to a number of activities in business such as decision-making, change, team engagement and individual performance. We have added tips and tools to help leaders work in a way that is more consistent with what science teaches us. We have drawn on neuroscience, social psychology and behavioural economics. We believe by working in this way, leaders can lead their team and manage their own performance more successfully. Each section covers a number of topics. Pick a topic that addresses your issue, or take a different page each day, read the science and try out the tool or tip. You can also use the book to coach your team, use at team meetings to improve areas of performance or share with individuals who want to solve a particular performance issue. The tips and tools can be used with groups or individuals or applied to yourself. Changing behaviour means creating new habits. How can this be done in a business context?